You love your Blu-ray player, but it’s all the way over there in the living room and you’re upstairs, downstairs, on the deck, or wherever you do your best computing. In other words, not in the living room. Wouldn’t it be great to be able to play your Blu-ray movies right on your computer, so you didn’t have to move to switch from “Work” mode to “Lounging” mode? You can, with today’s discount software promotion, Aurora Blu-ray Media Player! 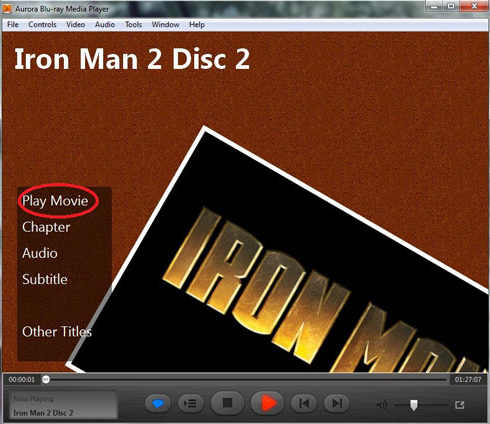 Aurora Blu-ray Media Player lets you play Blu-ray discs, ISO files, and other video formats right on your computer without compromising quality. With Aurora Blu-ray Media Player, you can jump right into your movie watching in just a few clicks, a lot faster than moving over to your television and turning everything on, switching sources, and loading a disc. What’s more, Aurora Blu-ray Media Player addresses the critical flaw in Windows 8 – the lack of support for DVD and Blu-ray movie playback! But wait, there’s more! In addition to playing all of your Blu-ray content, Aurora Blu-ray Media Player is equally adept at playing back all kinds of video files in all kinds of formats. So your entire video folder is fair game for Aurora Blu-ray Media Player! Lastly, there’s tight integration with Facebook and Twitter, allowing you to make comments on social media right from the application! After you purchase Aurora Blu-ray Media Player, it may be used for 12 months. After you purchase Aurora Blu-ray Media Player it may be used for 12 months and will not function after that unless you renew your subscription. 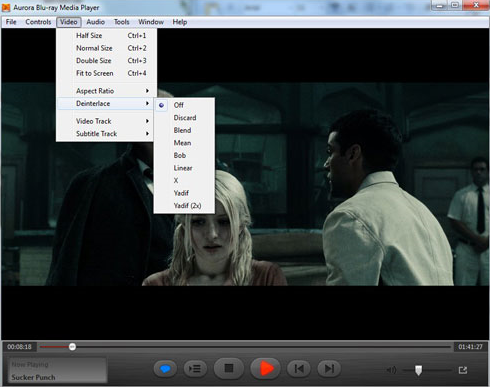 Aurora Blu-ray Media Player is licensed per computer, and not per user. looks good. I have 3 questions though. 1/. How many computers can i install this software onto in my home ? 2/. It says in the title area that it may be used for 12 months ? - so it is a subscription type payment - and then i have to pay again to keep using it ?? how much will it cost in the second year ? the third ? 3/. How is this different from 'Aurora Blu-ray Player' ? it plays blu-ray and other file formats and dvd disks too i presume ? and its the same price for a lifetime license ? Constantin Florea @Nick H, Thanks for letting us know about the issue. It has been fixed. The old license policy was for the giveaway we had back in 2014 which was for the 1 year version. For the discounted product, the same license applies as the one the vendor is using to sell the product on his site.